Driving is all about fun. But it is not essential that the car you are driving really gives you a pleasure or not. Being skeptical, some cars are agony to drive. If the list was about the most agonized cars of the world, the discussion would have gone that way. But we are here to discuss the cars that are really a fun to drive. 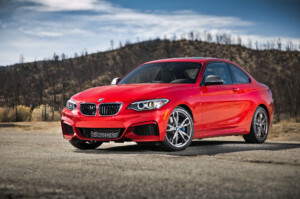 The BMW M235 comes with a standard 3 L 6 in line cylinder engine. It has 320 turbocharged horses to run. It is a competitor of so many cars in the world for 2016. And is even a threat to a number of upcoming models. She is one of the highly recommended cars to drive. And no doubt the flawless performance and superb steering of BMW M235 makes is a fun to drive. Let’s get to a V8 machine. The Jaguar F – Type (SVR) with 5 L V8 with 550 horses. When this Jaguar is supercharged, it brings 575 horses in. 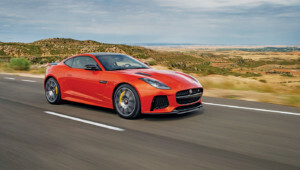 Being the royal in its range, the Jaguar F – Type (SVR) reached 62 mph within just 3.5 seconds. The firm structure and absolute strong performance makes it a fun to drive car. She has been overall rated at 95%. So here we are with the 2016 Ford Mustang GT. It is a muscle car with 2.3 L 4 – cylinder, 3.7 L V6 and 5 L V8. The car is priced as low as $25,100. The muscular engine makes the performance go wild. The massive road grip, elucidative performance schedules, and aerodynamic exterior makes Ford Mustang GT a fun to drive. It has been rated as the 90% best car in the world. We have another BMW in our Fun to Drive Cars list. 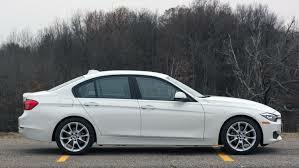 While this one is from the BMW 3 – Series, the BMW 320i. She comes with a 2.0 L 4 – cylinder engine having 180 hp of power. The Germans are masters of steering. And that’s what we witness in the BMWs. The BMW 320i is indeed a smooth drive through its performance chart, but the steering adds in more fuel to make it a fun to drive the car. We have another candidate with 90% consumer rating. 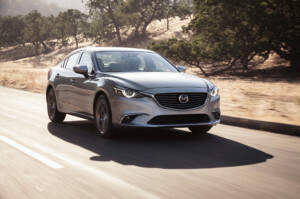 The Mazda 6 has rocked the mid – sized sedan market with its impressive performance. Mazda 6 comes with a Skyactiv 2.5 L 4 – cylinder engine. Though the Mazda 6 looks to be an average performer on the road. But this 2.5 L engine gives smart acceleration. Mazda 6 reaches 62 mph within 7.3 seconds. It’s smart performance and dynamic handling makes it a fun to drive. Now we have the Audi A3, the entry level executive car. The beauty has been rated as the 90% recommended car in the world. 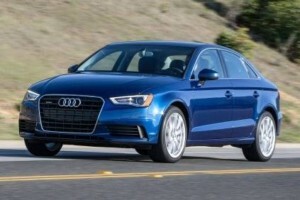 With the standard 2 L 4 – cylinder engine and a range of 186 to 220 horses to run, the Audi A3 makes driving a beauty. The agile handling, sheer performance drive train, and luxurious ambiance makes it a fun to drive. 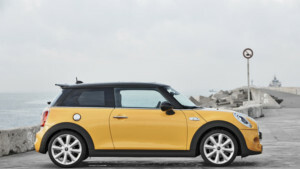 The 2016 Mini Hardtop earned 85% of fame. This is because of its subtle performance charts and comfortable interior. There are very few hatchbacks that earned fame to be the best among the consumers. Mini Hardtop is from those hatchbacks. Hardtop comes in 2 – door and 4 – door hatchback style. The 1.5 and 2.0 L engines are available for the Hardtop. The Subaru Outback earned 80% of the fame by the editorial reviewers. Though SUVs were a fun to drive in the previous generation of the automobile industry. But the improvised technology, fuel saving engineering, and aerodynamic shapes even made the SUVs the pleasuring drives. 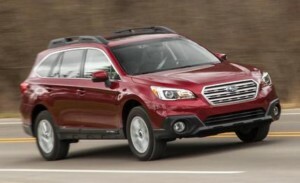 Outback comes with 2.5 and 3.6 L engines with 4 and 6 cylinders in line respectively. Does anybody loves playing “Need For Speed”? So here we are with one of the ambassadors of that Video Game. 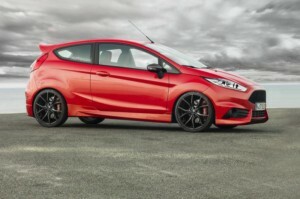 Ford Fiesta ST is an aggressive candidate among the fun to drive cars. Though it has a 1.6 L 4 – cylinder engine, but it has 197 horses to run. Ford Fiesta ST is a totally balanced hatchback in terms of design, weight, and power which makes it a fun to drive. Let’s drive another family sports car. 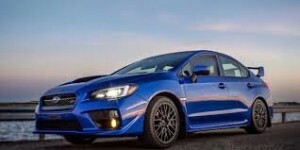 The Subaru WRX STI with clear sporty looks, speedy performance schedules and smart steering with quick braking makes it a fun to drive. Yet this family sports version reaches 62 mph within just 4.3 seconds. This is what makes the Subaru WRX STI another Need for the Speed. In the present day, it’s really not that hard to find a fun to drive car. But it is relatively hard to choose from them. Hope this list will work out for you for 2016. Global Cars Brands Copyright © 2019.